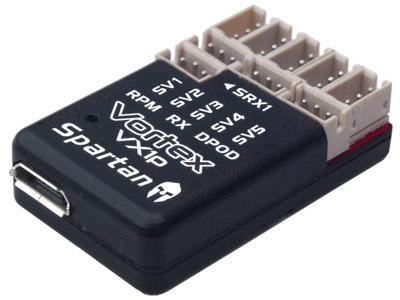 The DataPod is a feature rich and handy sized unit that unlocks the full programming potential of a parent Spartan product (gyro, governor, flybarless system). It's graphical display and intuitive user interface provide easy access to configuration parameters at the flying field. Replacement gyro pads for the Quark gyro and Vortex. The pack includes (10x) 22x22x3mm and (5x) 20x20x1mm pads.